In our efforts to bring you the best possible online banking experience, Wauna Credit Union is upgrading our online and mobile banking solutions. 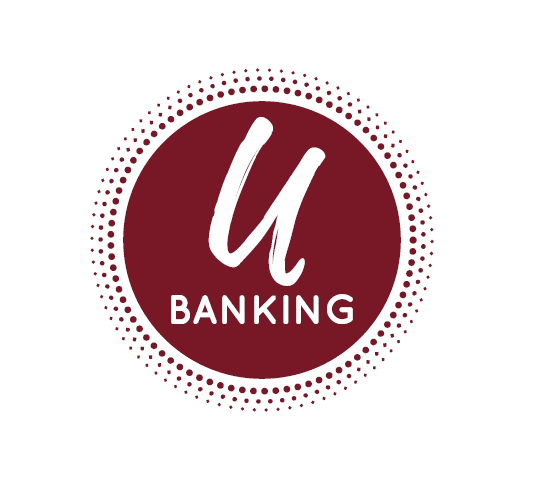 The new system, U-Banking, will be available on Monday, May 14th. With this enhancement comes more flexibility, reliability, and control for you, but it also comes with important changes that will temporarily affect the way you use online and mobile banking. We’ve summarized these key points below and suggest that you keep this summary on-hand for quick future reference. The upgrade means that Online and Mobile Banking access will be unavailable starting at 6:00 am PST on Friday, May 11th until service is restored by 9:00 am on Monday, May 14th. The WaunaCU mobile app will be available in Apple and Google Play app stores same day. On May 14th, you will need to download a new mobile app, which can be found by searching “WaunaCU” in your app store. Bill Pay will be unavailable May 10th through May 14th. Not to worry! Your payees will transfer over and we will ensure all scheduled payments are paid during the conversion. If you use the Account Alerts feature, this will need to be set up in U-Banking. These alerts might include: balance updates; scheduled transactions; large deposit; low balance; large withdrawal; check cleared; loan payment due reminders; loan payment overdue reminders; personal messages; or maturity date reminders. Any notices (delinquent loan, overdraft, or certificate of deposit maturity) that you were receiving in online banking will now be mailed. When you first log in to the new U-Banking service, you will no longer use your current password. You will initially enter your Account Number as the login ID, and then the last 4 numbers of the primary account holder’s Social Security Number as the password. Once you complete this initial login, you will be prompted to create a new login ID and password. NOTE: If you have trouble logging in to online banking with the information provided and have also not logged in to online banking within the last six (6) months, you will need to contact us at (800) 773-3236 to receive login information. NOTE: If you are the primary user and have a joint owner on your account who would like to use U-Banking, we recommend the following: After the primary member is set up and you are inside U-Banking, there is a new feature under “Additional Services” called “Share Access with Others”. The primary can permission the joint owner to use U-Banking, which will send an email to the joint owner with a temporary username and password. The joint owner may then log in to U-Banking with their temporary username and password where they will be prompted to change their username, password, and multifactor authentication credentials. If you already have pre-scheduled transfers/payments prior to May 10, these will continue to transfer as usual. You will not see these items within online banking, though they will continue to transfer to our core processing system. Once U-Banking is live on the 14th, all future scheduled transfers and payments will need to be set up in U-Banking. If you would like to see and manage your scheduled transfers in U-Banking, contact our Virtual Branch at (800) 773-3236. Quicken® and QuickBooks® download history will be turned off and no longer available starting May 10th by 7:00 am. You will receive a separate letter with instructions on how to connect Quicken® or QuickBooks® to U-Banking. The “memo” option for transfers will be unavailable – although we may continue this service in the future. If you are a Money Desktop (MX) user, all information stored in MX will not convert during this upgrade and you will need to start over in U-Banking. What actions should I take prior to May 14th? Ensure that we have your current contact information on file so you do not miss any important reminders or notifications. If you have bills due while Bill Pay is unavailable from May 10th to May 13th, be sure to schedule those bills for payment prior to May 10th to help ensure that they are paid on schedule. However, rest assured that we have systems in place to confirm any bill payments you have pre-scheduled to post during this timeframe will be paid on schedule. Visit waunafcu.org/about/u-banking.shtml to troubleshoot and learn more about U-Banking. While we are confident that this new service will greatly enhance your overall online banking experience, we apologize for any short-term inconvenience the upgrade may cause you. We are here to answer any questions, so please contact us at (800) 773-3236. We have the Mortgage you need! Open a Youth Account or make a deposit in an existing Jump Start or Youth Account& be entered to win $$ prizes. Plus, cool freebies for kids & teens all month long! Ubiquitous Banking coming this May!